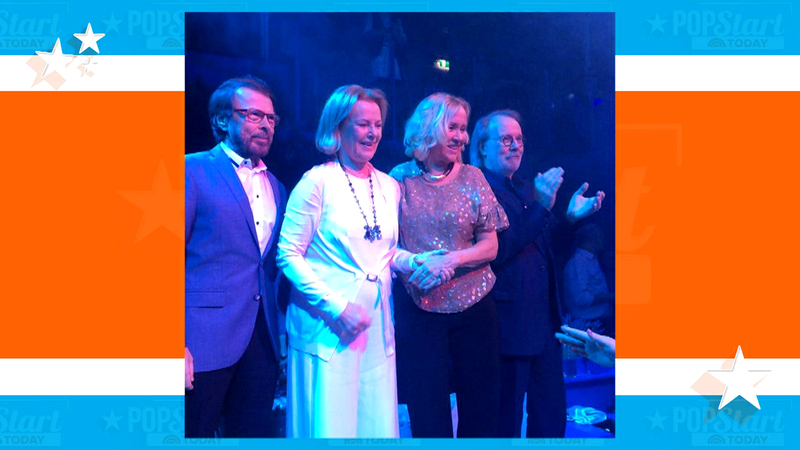 The four members of ABBA reunited on Sunday night to commemorate the famed band's 50th anniversary of friendship -- and as band members -- in Stockholm, Sweden. Not only that, but the band members also performed all together for the first time since 1986 -- thirty years ago! The party, which took place at Berns Salonger in downtown Stockholm, marked 50 years since the male band members Björn Ulvaeus and Benny Andersson met for the first time, on June 5, 1966. According to Expressen and Entertainment Weekly, female members Agnetha Fältskog and Anni-Frid Lyngstand began performing the group's song, "Me and I," before bandmates Ulvaeus and Andersson joined them on stage to end the song. Though no video has surfaced from the moment (yet! ), sources at the event described the moment as "amazing" and "great." "It was absolutely amazing," Lyngstad said. "A lot of emotions. We've made this journey throughout our history -- Benny and Björn in particular. It's been very nostalgic." This was the band's second full reunion in six months, which is significant given the band's unpredictable history. Check back here for updates on their buzzed-about reunion.